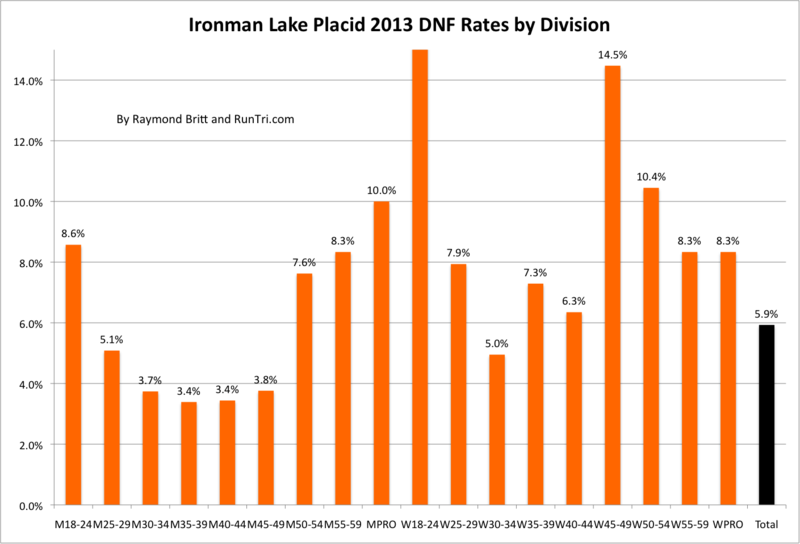 In the 15th edition of Ironman Lake Placid, 2,345 triathletes finished one of the more beautiful yet challenging races on the North American Ironman circuit in an average time of 13 hours and 12 minutes, with a fairly normal DNF rate of 5.4%. 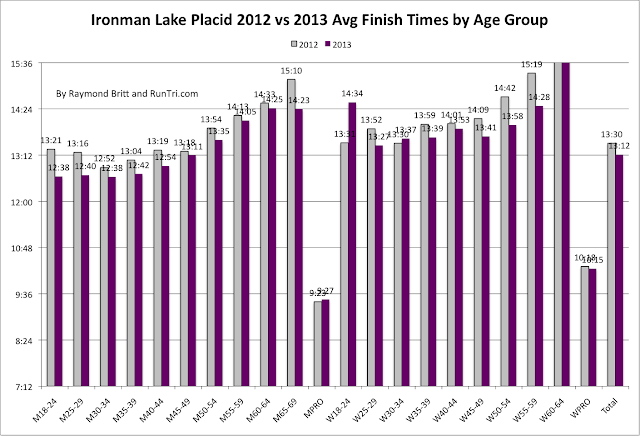 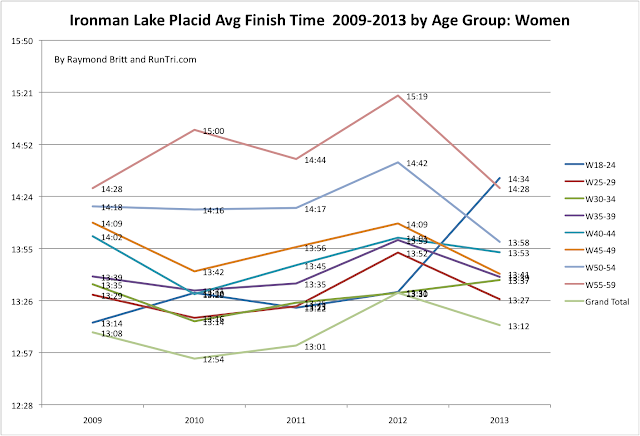 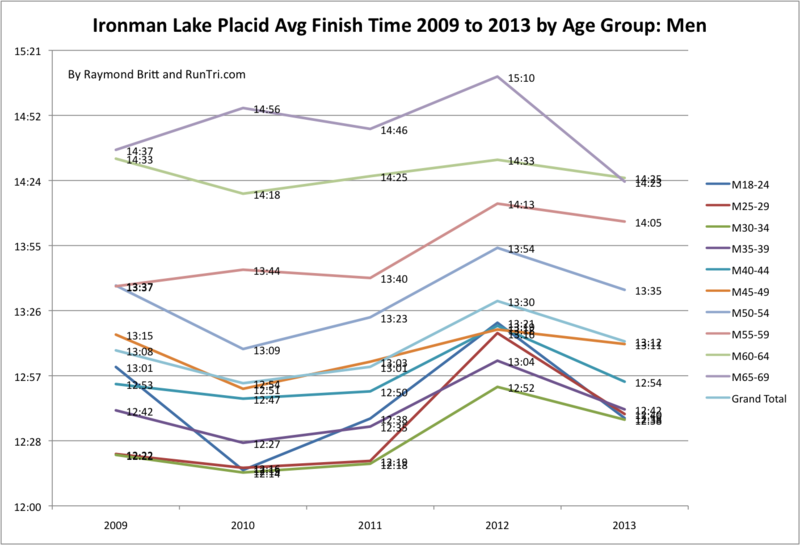 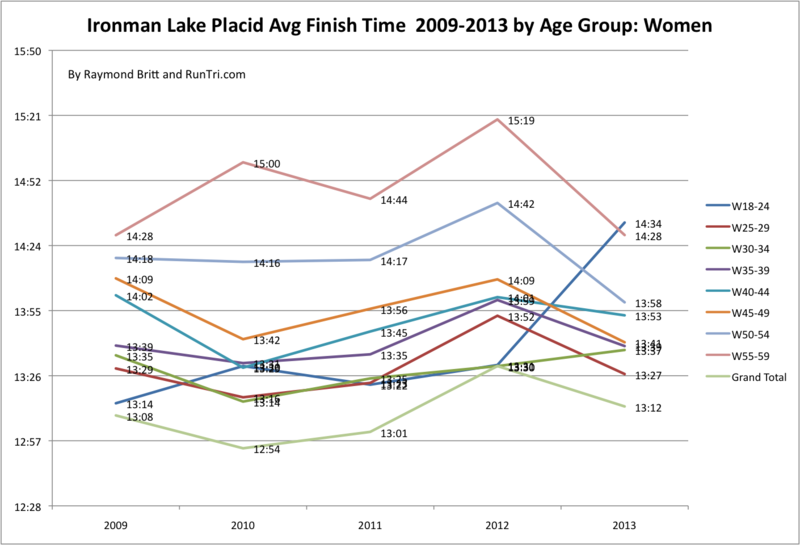 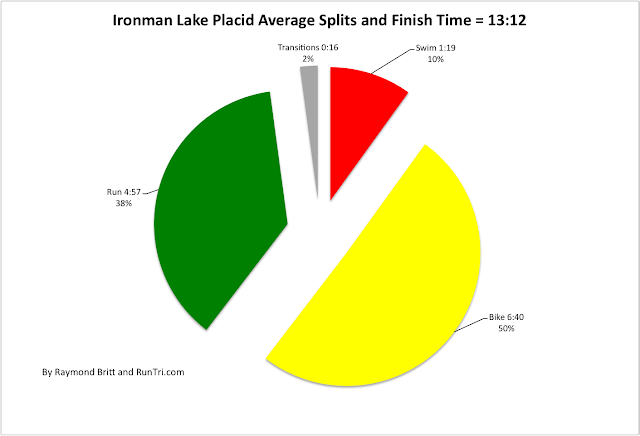 At 13:12, (compared to an average 12:35 finish time for all Ironman events) Lake Placid is one of the tougher races in our RunTri Toughest/Easiest Ironman Triathlon Rankings. 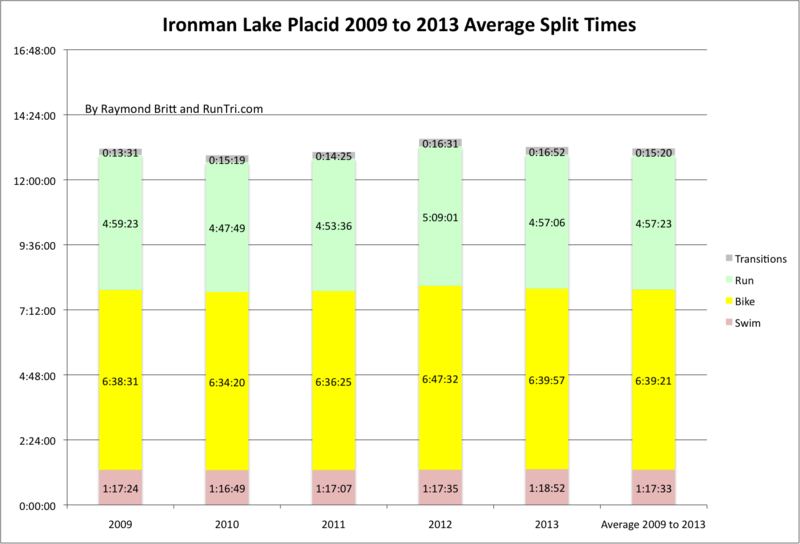 The 2013 race results and swim (1:19), bike (6:40, or 50%), run (4:57) splits were consistent with those in races from 2009 to 2011; the outlier remains the unprecedentedly difficult race in 2012, when the average finish time was 13:30 with a DNF of 11%. 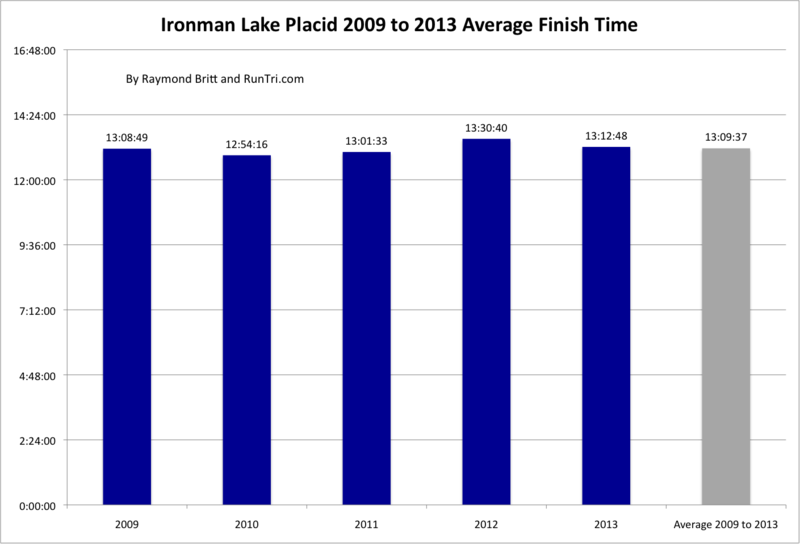 We're proud to have been at the first Ironman Lake Placid in 1999, have finished Ironman Lake Placid 6 times, and have been covering the event extensively for years. 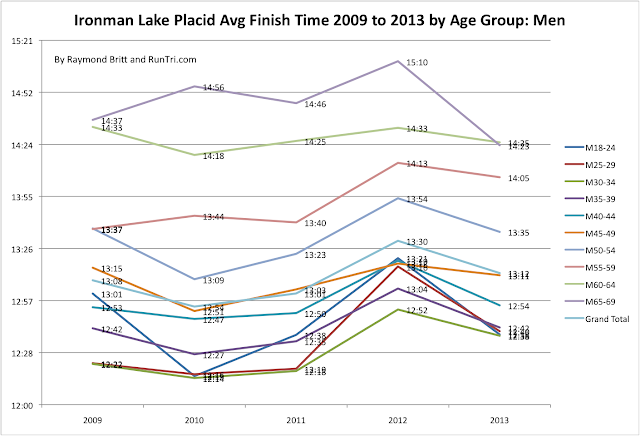 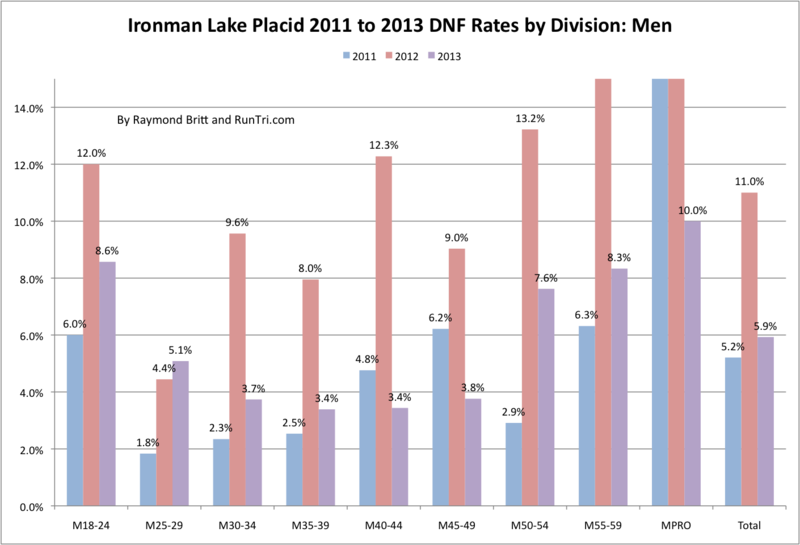 Here's our analysis of 2013: overall, by split, by age group, by comparison to 2009 to 2012, by DNF rates, our correlation between bike and run splits and more. 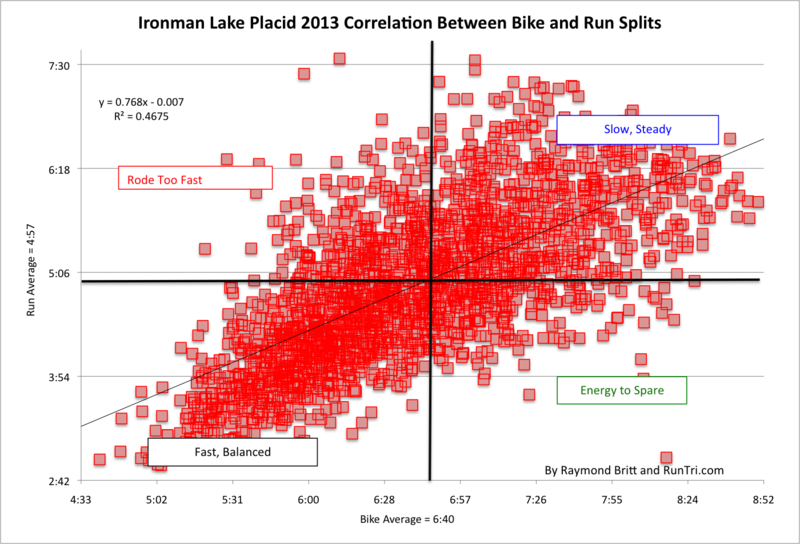 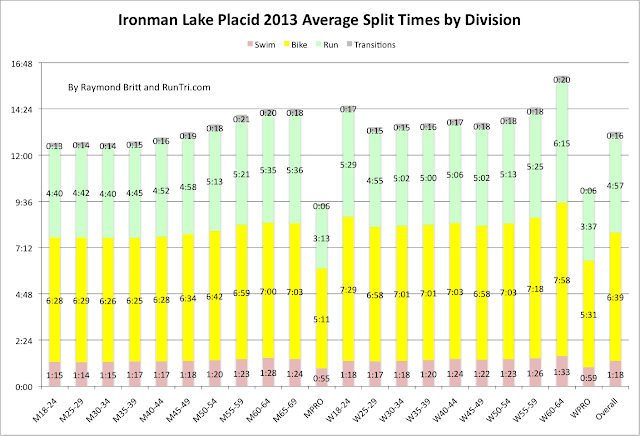 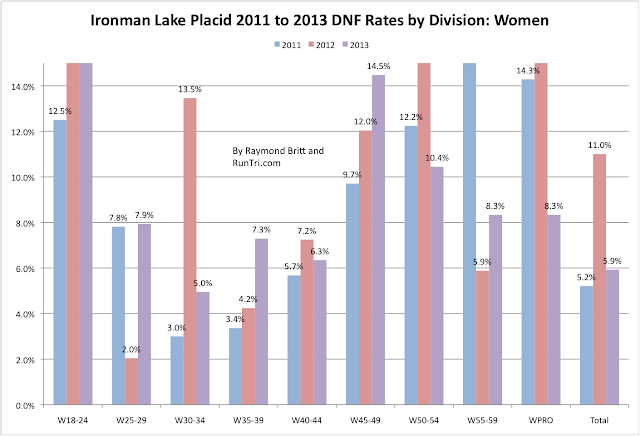 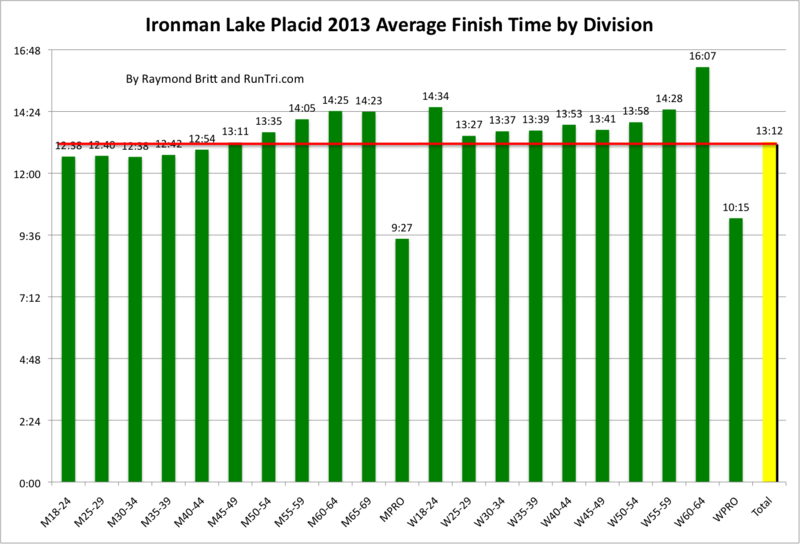 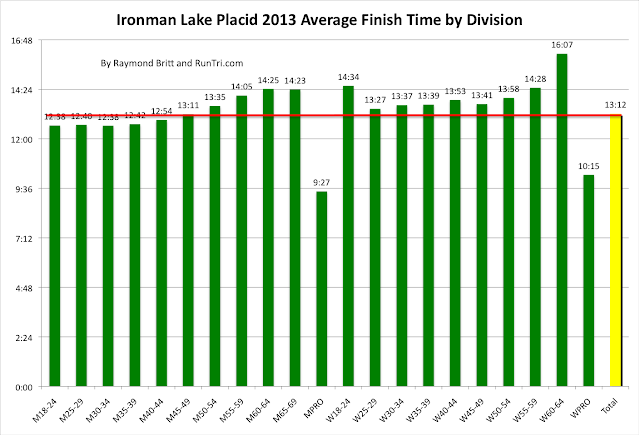 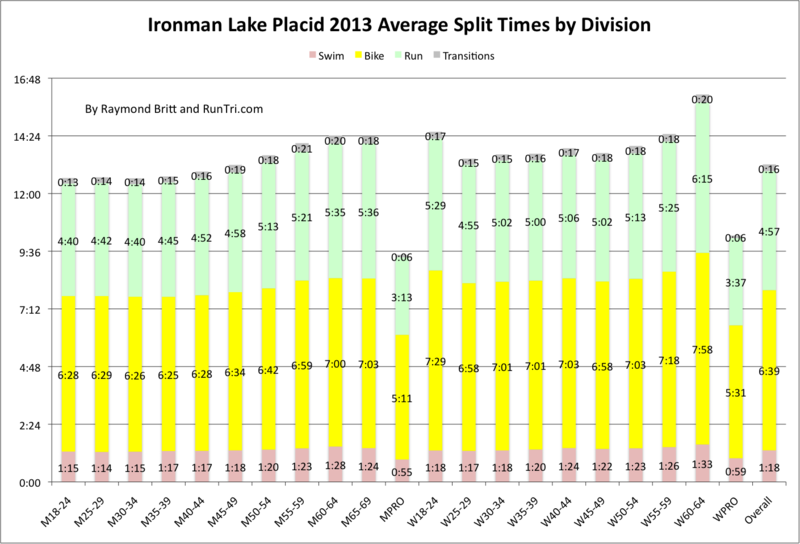 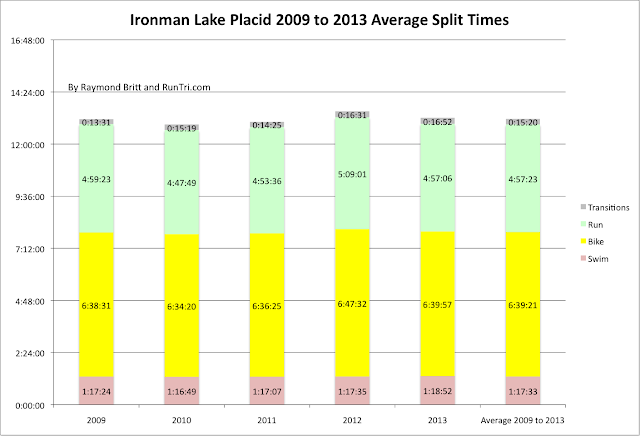 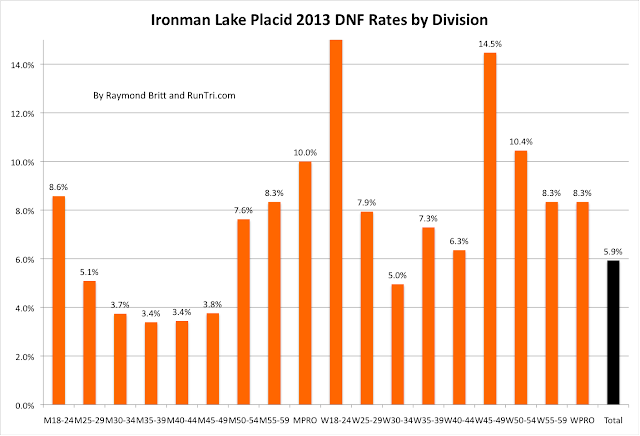 For more, see our complete Ironman Lake Placid Coverage, our Stats/Results/Analysis archive of more than 200 analytics posts, or our home page.